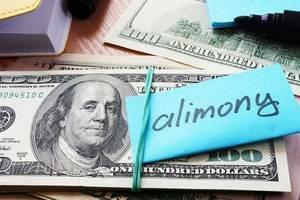 For divorcing couples, child support is often a central issue. Both parents are responsible for supporting the children, and the support arrangement should reflect the best interests of the child. Couples can often reach an amicable agreement outside of court. However, in circumstances when one party is being uncooperative, litigation may be necessary. In either case, to make sure your interests are protected, it is important to be represented by a family law attorney with strong negotiation skills and extensive litigation experience. At Mevorah Law Offices LLC, our child support attorneys have been serving clients in Chicago and the western suburbs for over 35 years. We understand the need to ensure your children are taken care of, and we are honest, approachable and aggressive advocates for your interests. Our attorneys put our vast experience to work to provide a comprehensive solution tailored to meet the specific needs of our clients. The state of Illinois has made some substantial alterations to their child support laws. These changes took effect in July of 2017. 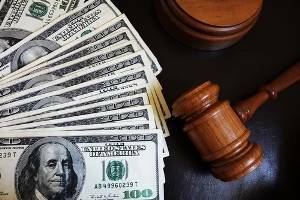 Previously, the courts calculated the amount of child support a non-custodial parent owed using a percentage of that parent’s income based on the number of children involved. For example, the law used to mandate that if a non-custodial parent had one child, then the percentage of their income owed to child support would be 20%. The new law does away with the percentage model and instead employs an income sharing model between the parents, based on the amount of parenting responsibilities each parent has. The new law is aimed at better addressing the needs of the child rather than using a static indicator to automatically determine what the non-custodial parent should contribute to the best interest of the child. The educational needs of the children; including college expenses. The new law has expanded the factors that the court considers when calculating the financial responsibilities of each parent. To do so, the court will determine how much money would be devoted to the care of the children if the household were not separating. The court will then divide that amount proportionally between the parents based on the proportion of each parent’s net income to the parents' combined income. Reaching a reasonable child support arrangement requires experienced legal counsel with the ability to present a strong case and effectively negotiate with the other side. The attorneys at Mevorah Law Offices LLC have an established track record of success in these areas. We also offer extended evening and weekend hours for your convenience. Contact us today at 630-932-9100630-932-9100 for a free consultation.